A group of armed bandits who invaded the home of a couple in Lokoja, the Kogi State capital during the yuletide have been arrested. The suspects were paraded on Wednesday by the Kogi State police command. The suspects five in number were said to have invaded the house of the couple on the 28th December at about 2am while the couple and their children were fast asleep. 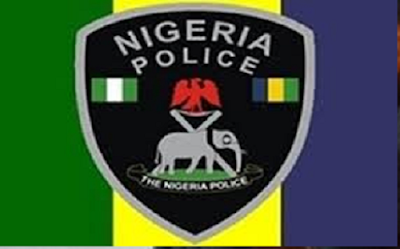 The victim Chris Edime who narrated his ordeal to newsmen at the police headquarters in Lokoja said that he was woken up by the strange sound of the robbers who gained entrance into the children room and started ransacking the house. Edime said he was yet to ascertain how much loss he incurred as he is still discovering lost items on daily basis. He said that based on the information, the state’s Directorate of State Security Services, Lokoja and operatives of the command launched a manhunt for the perpetrators and in the process arrested the suspects. Those arrested and paraded are 27-year-old Mohammed Kabiru; 26 years old Musa Mohammed; 26 years old Emmanuel Audu; and 28 years old Yale Yunusa, all males. According to the police, one LG Plasma TV, one home theatre electronic, bag of rice, one single barrel gun, twelve assorted handsets and charms were recovered from the culprits. “Further investigation led to the arrest of one Mohammed Ibrahim of Lagos from whom Infinity G35X saloon car was recovered,” Aya said.